The Official Collector's Edition Guide is now available to pre-order from Amazon. It'll set you back $39.99. geez capcoms going all out. good for them. good for us. Awesome, i'm definitely getting this. Man, I can't imagine it'd need too many pages for a platformer... Kinda wish a CE bonus would've been a bonus Legacy Collection guide in it as well. Either way, nice to see it. 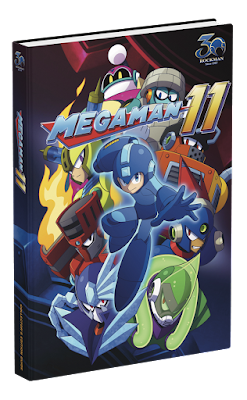 @Darrien - A substantial amount of the book will cover the entirety of the Mega Man franchise, not just a guide to MM11. I'll get this no matter what.